A new rumor surfaced that hinted that the much anticipated Mi MiX 2 will come with a screen to body ratio of 93%. Currently, more and more smartphone makers are opting for beez-less designs and are looking to ditch home button from the front panel. This facilitates the increase of screen to body ratio. So this in a way allows fingerprint sensor to be embedded in the display itself. Recently at Mobile world congress (MWC) Fingerprint module maker crucial tech has announced it will start supplying onscreen fingerprint solutions called Display fingerprint solution (DFS) to global manufacturers this year. Also, Chinese company Goodix has unveiled in-display fingerprint sensor integrated into AMOLED display at MWC 2017. Recently Chinese analyst Sun Changxu has hinted iPhone 8 to sport the technology but prior to iPhone 8, he hinted domestic Chinese manufacturer to adopt the technology. Another analyst Pan Jiutang has revealed that Mi MiX 2 will adopt the in-display fingerprint technology. 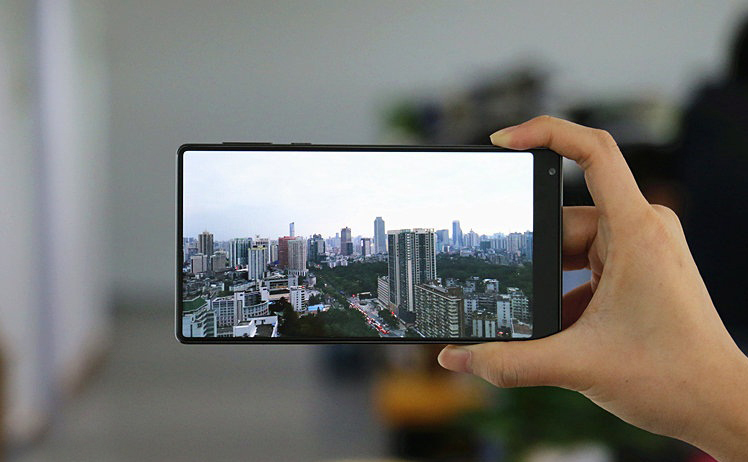 Mi MiX is the first phone to sport screen to body ratio of more than 90% and came with a borderless ratio of 91.3%. Recently at MWC, LG has unveiled LG G6 with a unique 18:9 screen display ratio called Full vision. The upcoming Galaxy S8 is also said to come with a screen ratio of more than 90%. According to the latest rumor, Mi MiX 2 will come with a screen to body ratio of 93%. If the rumor turns to be true then Xiaomi Mi MiX 2 will be the first phone to feature bigger ratio of 93%. Mi MiX is rumored to sport in-display fingerprint technology. It is also said that Mi MiX 2 will be launched in second half of 2017. Keep visiting Chaprama.com for the latest updates.